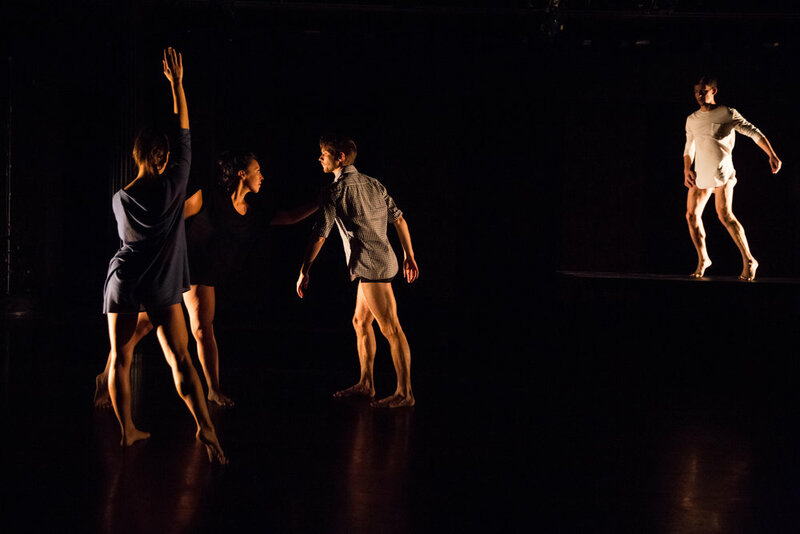 [Insert Title] is a study on humanity within formalism, starring four dancers and a table, exploring beauty, human flaws and the desire to connect to one another. the Jerome Foundation. Additional support provided by Steve and Michele Pesner ; William Petroni. Photo by Sally Cohn, courtesy of The Yard 2016.